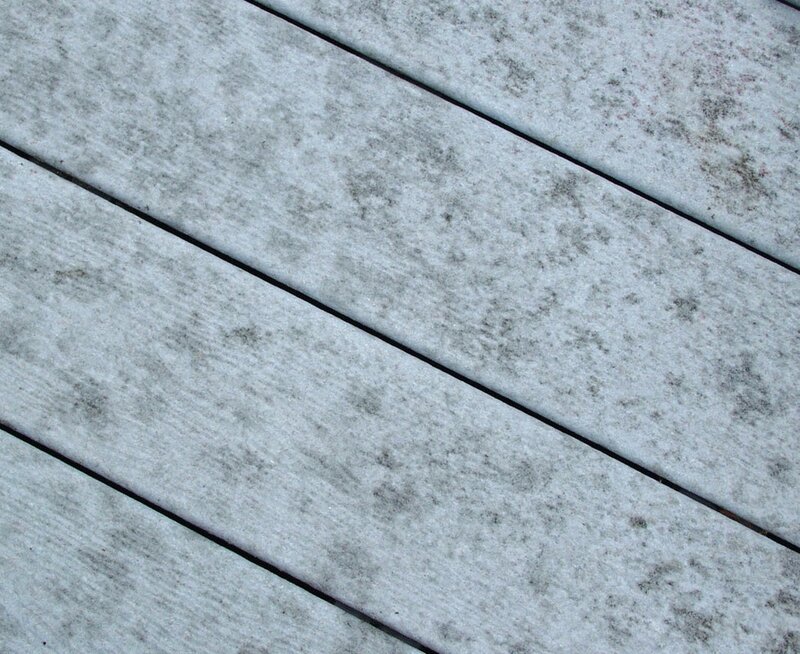 The composite decking pictured in the center is an example of how a brown deck can turn gray. of a few years that sometimes people aren't even aware it's happening. 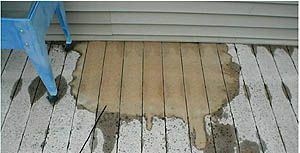 Composite decks are different than wood decks when it comes to maintenance cleaning. Although they're "supposed" to be easily cleaned with soap and water, this is far from the truth in many cases. We have done numerous composite decks over the years where the customer thought part of a composite decks beauty is the fact of easy care. And they weren't very pleased with not being able to clean it themselves,..they sometimes feel mislead,..by the product and/or the contractor. Composite materials, and the binding adhesives are food for mildew and mold, and the mold penetrates deeper into the material, making them more challenging for the average DIY'er to get the best results. 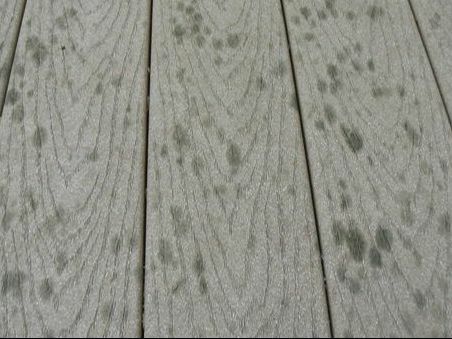 *There are numerous brands and qualities of material used for composite decking, some are better than others. Most that I'have seen prefer to be under roof, and not exposed to UV rays.